I recently co-presented a webinar on researching legal information. The event was organised by TFPL, and Alan Blanchard and myself reviewed free and paid for resources together with key search techniques. Throughout the session we polled the audience on a number of issues, the first question being “Does price guarantee quality when you are purchasing information?”. Surprisingly, given the topic of the webinar, 70% voted ‘No’ with the remaining 30% opting for ‘I don’t know’ rather than ‘Yes’. When we asked about their opinions on free information, though, 79% said they would need a result from a free source to be validated with a paid resource. The audience could not qualify their answers – it was a simple yes/no/don’t know – but there were some interesting discussions on the issues after the event. The priced services certainly have to work hard to prove value for money and they cannot assume that their users will automatically renew each year. Free information has a big part to play in legal and business research but it is vital that one is aware of the limitations of free. For example, do you know how up to date legislation.gov.uk is and if it carries revised legislation? (See http://www.legislation.gov.uk/help#aboutRevDate for the answer). And then there is the issue of making Google run your search the way you want it run, without personalisation or deviation. Both days include practical sessions and places on the workshops are limited. Contact TFPL for further information and bookings. It is August bank holiday weekend and in Reading that means Reading Festival (http://www.readingfestival.com/). Festival goers started arriving in dribs and drabs on Wednesday but yesterday (Thursday) the main invasion started. The stages and campsites are upstream from Reading town centre and most of the fans arrive by train. 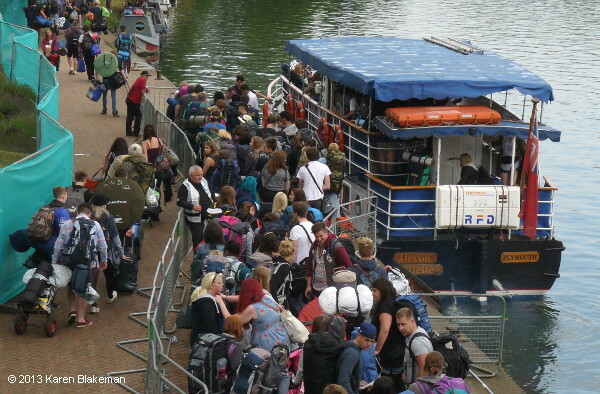 A few walk to the campsite, many pile onto the extra buses laid on by Reading Buses, but it appears that the majority use what has become, over the last few years, the traditional means of transport – boats. 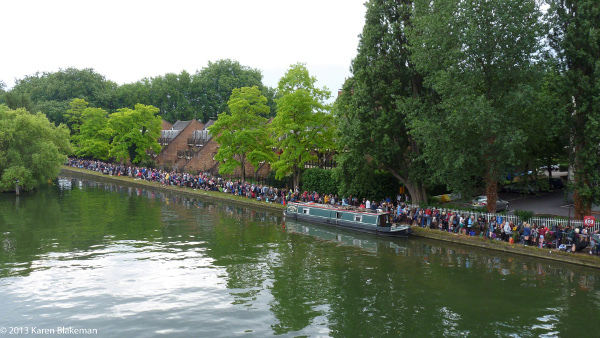 Every year boats ferry people to and from the festival site and among them are usually a couple of Dunkirk little ships. The emergency evacuation of Allied soldiers from the beaches and harbour of Dunkirk in France took place between 27 May and 4 June 1940. What were needed for the evacuation were boats with shallow draught, and hundreds of pleasure boats, private yachts and launches on the Thames and estuaries along the South and East coasts were involved in the evacuation. Some of the “little ships”, as they came to be called, are still around and last year I saw the Princess Freda and Devon Belle at work over the festival weekend. I’ve already seen Devon Belle (pictured left) this year. The Association of Dunkirk Little Ships (ADLS) was founded in 1966 following the 1965 25th anniversary commemoration of the Dunkirk evacuation. The ADLS web site (http://www.adls.org.uk) has a section that lists the specifications and history of the surviving little ships. The entry for Devon Belle, previously Seymour Castle, can be found at http://www.adls.org.uk/t1/content/devon-belle-previously-seymour-castle. It does not yet record the purchase of the boat by Thames Rivercruise (http://www.readingchronicle.co.uk/news/reading/articles/2010/05/20/46728-little-ship-sails-again/). Check the ADLS database next time you go on a river trip. You may be cruising on a piece of history. Gas and electricity supply, and energy in general, are constantly in the headlines in the UK. Reports on the anti-fracking protests at Balcombe recently dominated discussions on the topic but the central issue remains. How do we meet our energy needs in the future: gas, coal, nuclear, renewables? Looking at the level of current consumption and how it is generated is key to understanding the nature of the problem. For electricity, there is detailed data available on the status of the UK National Grid and can now be viewed via a service called Gridwatch. Gridwatch (http://www.gridwatch.templar.co.uk/index.php) shows the demand for electricity in the UK at any one time, the source and how it is being generated. The site is maintained by Templar Consultancy and uses near real-time data from BM Reports on what the UK’s electricity grid is doing. The data is updated every 5 minutes. The data is presented as a series of dials so that you can easily see how much energy is generated and how that changes throughout the day. 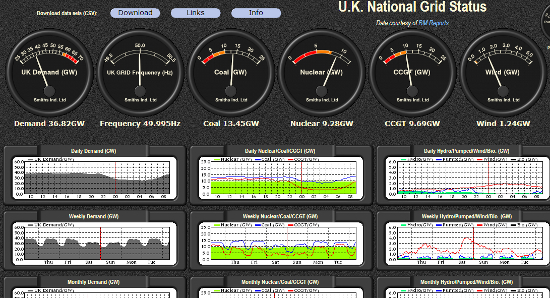 Most of the screen is taken up with dials for demand, coal, nuclear, CCGT (gas) and wind. The right hand area of the screen shows how much electricity is generated through pumped hydro, hydro, biomass and oil, and the level of imported electricity. Move your cursor over a dial for further information on the different technologies and sources of generation. Coal and nuclear power stations are always switched on and provide most of what is called the base load of electricity required throughout the day. 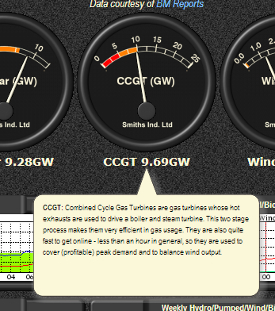 Gas makes up the difference and covers peak demand and balances the variable output from renewables such as wind. Not much changes during the summer months but the demand can increase dramatically during very cold weather in the winter. It is interesting to see how the dials shift as soon as people get up in the morning. 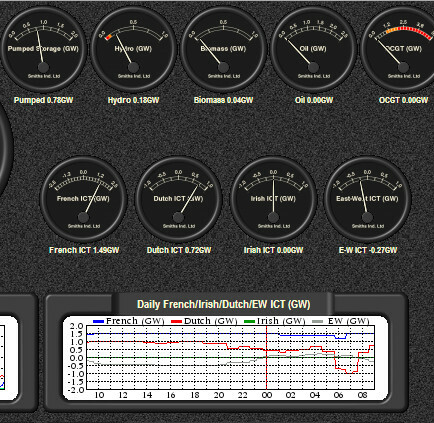 Also, the amount of electricity produced via wind turbines drops to almost zero during stormy weather. The turbines are switched off in high winds to protect them from damage. Warning: this site can be addictive, especially if you start monitoring it during late autumn and winter! My search on thorium reactor started with a Wikipedia article at the top, which seems all too often to be the default. Further down the page was a block of three “in-depth” articles from Wired, Cosmos Magazine and Nature. They do not appear at all if you use a Chrome Incognito window or your browser’s private browsing option. They also disappear if you apply Verbatim to your results. How useful are these articles? They are certainly lengthy and in depth but only the one from Nature was fairly recent (December 2012). The one from Wired was published in 2009 and the Cosmos Magazine article appeared in 2006. I tried limiting my search to articles published in just the last year using Search Tools, Any time, Past year. The documents in the main results changed but the in-depth articles remained the same. The Nature article is highly relevant but there are more recent documents to be found than those from Wired and Cosmos. This raises the question as to how these articles are selected. I have not yet found any reliable information on how it is done, although Google’s Webmaster Central Blog has provided a checklist that may help get an article into the triumvirate (http://googlewebmastercentral.blogspot.co.uk/2013/08/in-depth-articles-in-search-results.html). The Moz Blog has run an analysis on 352 searches and found that the major news sources feature heavily (see http://moz.com/blog/inside-indepth-articles for further details). In theory, in-depth articles are a good way to find an overview of a topic but do check the dates. They may be horrendously out of date.